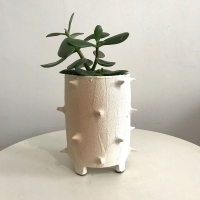 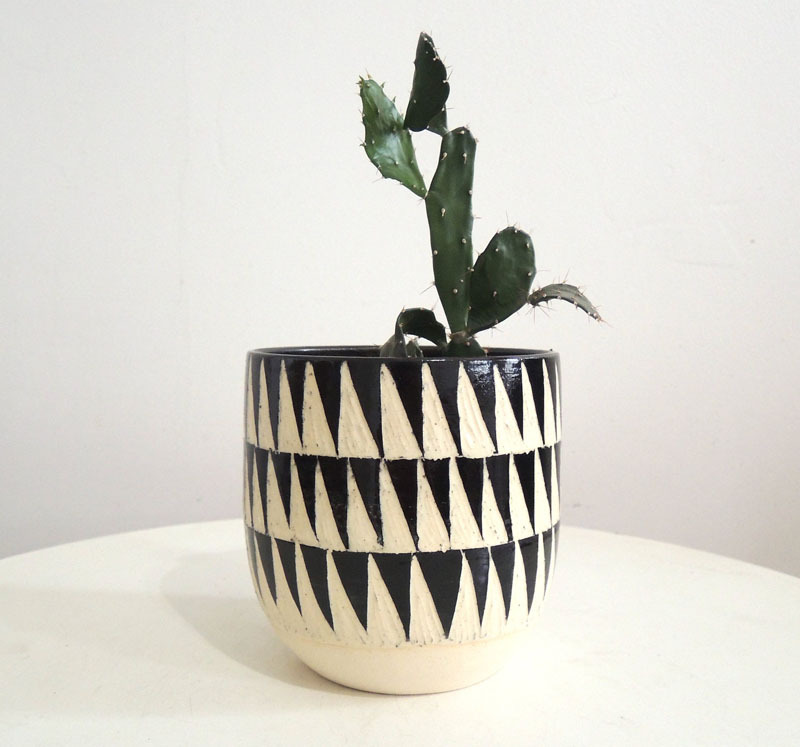 This black and white patterned planter was wheelthrown and then a triangle design was carved into it. 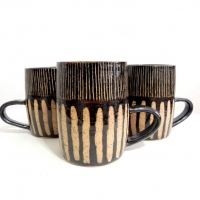 It’s glazed in black on the inside and the outside has a shiny clear glaze. 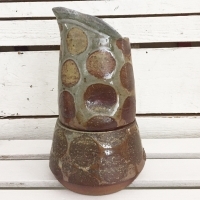 It has a drainage hole in the bottom, and is perfectly irregular due to its handmade process. 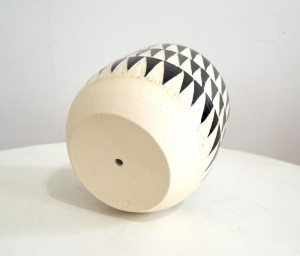 It measures about 5 inches tall and 5 inches in diameter.